Chiara Ferragni, born in 1987 in Cremona (Lombardy, Northern Italy), is a famous Italian fashion blogger. With almost 14 million followers on Instagram, the Harvard Business School carried out a study on her case in 2015. Mattel created a special version of Barbie after her in 2016. In 2017 Forbes put her at #1 of its Forbes’ Top Influencers List in Fashion category. Clever, determined and beautiful, you can say she’s a present-day genius that succeeded in turning her passion for fashion and photography in an empire worth more than 30 million euro. In March 2018 in Los Angeles, she gave birth to Leone, the son she had from her relationship with the Italian rapper Fedez. 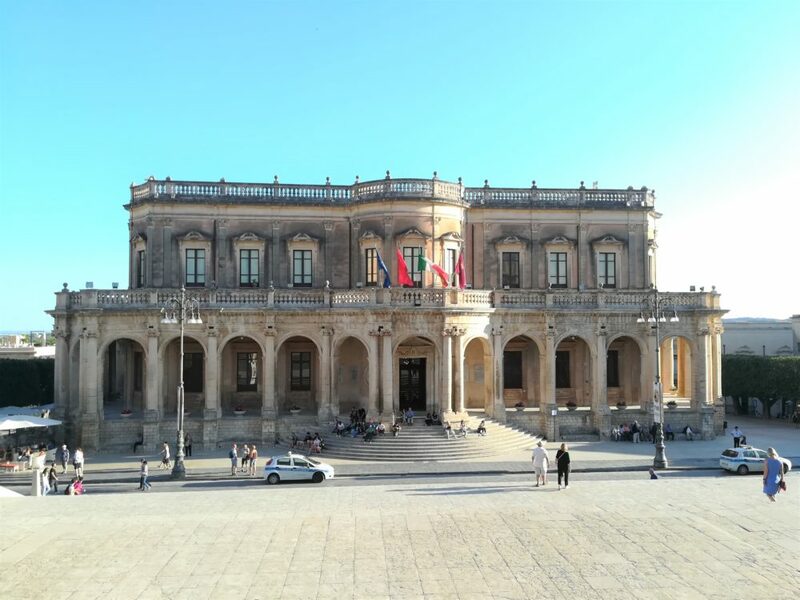 Chiara and Fedez are to be married in a few days in the enchanting background of the baroque town of Noto, Sicily. 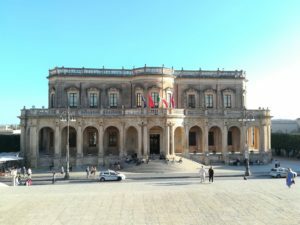 If on the one hand the reasons behind this location lie in the bewitching charm evoked by the honey-colored town (UNESCO’s World Heritage), on the other hand the strict connection of Chiara with Sicily can’t be ignored. Sicily is in fact the land of her maternal forefathers: the Di Guardos. ‘Di Guardo’ means son/daughter of ‘Guardo’. There are many hypotheses on the origins of the name Guardo: from the name Gualdo; from the old Germanic Wardo; from the French Dugard and Gard (family names that mean “owner of a yard”). The name ‘Guardo’ appeared for the first time in Italy in a bill of sale signed in Benevento in 1195. The first written appearance of ‘Di Guardo’ as a family name goes back to 1417, in a certificate signed in Catania in which a canon was granted to ‘Manfredo de Guardo’. Today the name is spread mostly in Catania and across the towns at the foot of Mount Etna. Among these towns there is the once autonomous municipality of San Giovanni Galermo, a quarter of Catania since 1926. After its annexation, the town lost its agricultural identity and its territory underwent rapid urban and social changes. Unfortunately, very little is left of the old borough, mostly in the memories of the elders and in some rare representation of the time. Galermo village is ancient and changed its name many times since its foundation. It’s also mentioned in the Greek acts concerning the martyrdom of St. Agata (patron saint of Catania). To escape the harassments of the Proconsul Quintian, a young Agata, in the III century b.C., hid in countryside outside Galermo, in ‘Bertuccia’s House’, summerhouse of her family (now ‘via Immacolata’, where a shrine to her dedicated has been built). The tradition also states that Agata had been born in that very house. During Roman times it was common among noblewomen to deliver their children in country houses, so that men’s business would not be bothered. In 1798, 735 people lived in San Giovanni Galermo. Among these there were Giovanni Di Guardo and Giovanna Costante. From their union many children were born, including Santo Di Guardo. At the time, Galermo was mainly a farming village whose main plantations were olive tree, vine, almond tree and Indian fig. As products a good olive oil along with a strong wine could be found. The most widespread jobs were indeed the sharecropper, farmer, and all the professions connected to grape harvest. Santo Di Guardo was a rich farmer who died aged 58, while his wife, Domenica Torrisi, (possidente, which means ‘land owner’) died at the ripe old age of 89 (a longevity she most likely inherited from her mother, who lived to be 90). Giuseppe di Guardo (son of Santo and Domenica) was born in 1838, was a land owner himself and got married twice. One of his grandsons that was born almost a century later was forced to move to Northern Italy in look for a job, despite his top grades degree: it was Chiara Ferragni’s grandfather. Marina Di Guardo was born in Novara (Piedmont, Northern Italy) in early 60ies, first of four children and only daughter. She calls herself a “Nordic Sicilian”, as she is daughter of Sicilian parents who moved to Northern Italy out of necessity. Through her mother, she is also related to the Catanese movie director Sebastiano Riso. Marina’s Father was a physician and worked in many cities (he was also author of some medical and scientific papers). He was also head physician in multiple departments at the hospitals of Lodi and Codogno. Marina (mother of Chiara, Francesca, and Valentina Ferragni) gave her daughters all the love and support she never had. Being born woman in a strictly patriarchal family, she lacked the attention and approval every child seeks in their parents. When she was 23, Marina left home pursuing her dream. And considering how things turned out it’s safe to say that she achieved her goal. Today Marina Di Guardo is an example of self-determination and emancipation: good-looking and, most important, with a great inner force, she is a self-made woman who got where she is thanks to her efforts and hard work. Marina worked in fashion – also as a model – and is today a much-appreciated writer of noirs. In all her novels there is always a glimpse of her loved Sicily. Her books are food for thought, like her last work, ‘Com’è giusto che sia’ (“As It Should Be”, still not translated in English), a thriller about the protection of women’s dignity. Ciccia C., I cognomi di Paternò, C.R.E.S., Catania 2004. Caracausi G., Dizionario Onomastico della Sicilia, L’Epos, 1994. 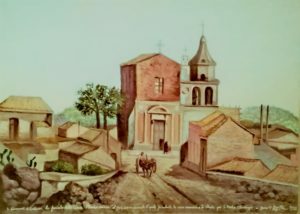 Personal research on civil registry of San Giovanni Galermo and Catania, timespan 1820 – 1930 ca. Interessante la storia di queste signore. Io sono argentina e discendente di italiani. Complimenti!!! Last night, Chiara Ferragni, of the popular fashion blog The Blonde Salad , wed Italian rapper Federico Leonardo “Fedez” Lucia in an outdoor ceremony at Dimora delle Balze, a secluded h-century palazzo in Noto. In May 2017, Fedez proposed to Chiara onstage during one of his concerts, and the following fall, the two took to Instagram to announce that she was pregnant with their now 7-month-old son Leone.